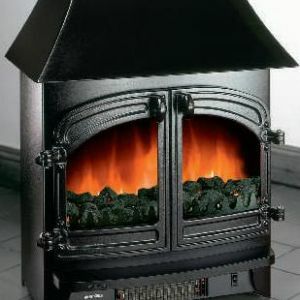 Villager Stoves have specialised in the manufacture of high quality stoves since 1979. Over the years Villager Stoves have built up an excellent reputation for producing quality, reliable and fuel efficient stoves and now how over 40 different models on offer. 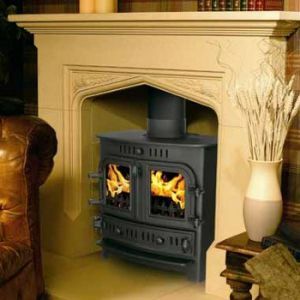 Offering a wide range of versatile wood-burning, multi-fuel, gas fired and electric stoves. Villager Stoves range ensures that they manufacture the perfect stove for any room size at a reasonable price and a range of style features available. The cool body and interior of Villager Stoves electric stove allows for a selection of body and interior colours, and the realistic flame effect of the gas stove was developed in Villager Stoves very own research department. There is also a fantastic range of integral boilers available if you are looking for a full central heating boiler. To ensure consistently high standards, all stoves are manufactured using cast iron components and a high quality steel plate. This allows Villager Stoves to make a personal guarantee to all of their customers, stating that a Villager Stove is of the highest build quality.